FROM THE SOUTH: TAKE N PIMA ROAD NORTH TO E PINNACLE PEAK ROAD. MAKE A RIGHT ON E PINNACLE PEAK ROAD, THEN MAKE A QUICK LEFT INTO SHOPPING CENTER. 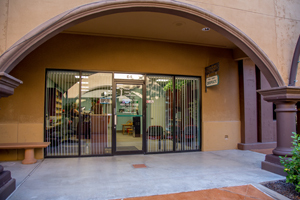 PIMA FAMILY CHIROPRACTIC IS IN SUITE E5..
FROM THE NORTH: TAKE N PIMA ROAD SOUTH TO E PINNACLE PEAK ROAD. MAKE A LEFT ON E PINNACLE PEAK ROAD, THEN MAKE A QUICK LEFT INTO SHOPPING CENTER. PIMA FAMILY CHIROPRACTIC IS IN SUITE E5. FROM THE WEST: TAKE E PINNACLE PEAK ROAD EAST, PASS N PIMA ROAD AND THEN MAKE A QUICK LEFT INTO SHOPPING CENTER. PIMA FAMILY CHIROPRACTIC IS IN SUITE E5.